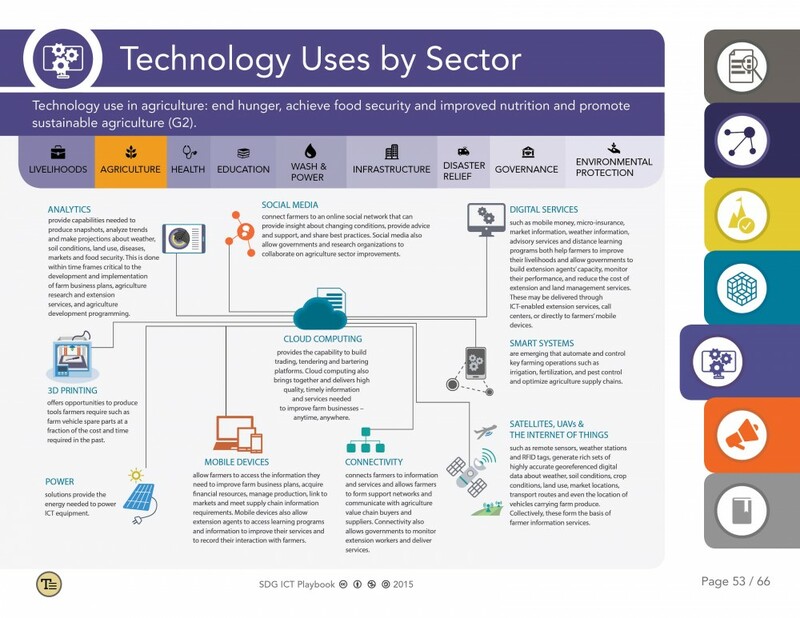 Governments to build new, innovative, and sustainable ways to connect their populations to technology, thus enabling improved connection with their citizens, making processes more transparent, democratic andefficient, and improving the accessibility of government services. NGOs to utilize this new suite of tools to conduct better research, plan more effective initiatives, and analyze their impact. Entrepreneurs to enter into emerging markets with innovative products in an efficient, cost-effective mannerthat supports sustainable development. 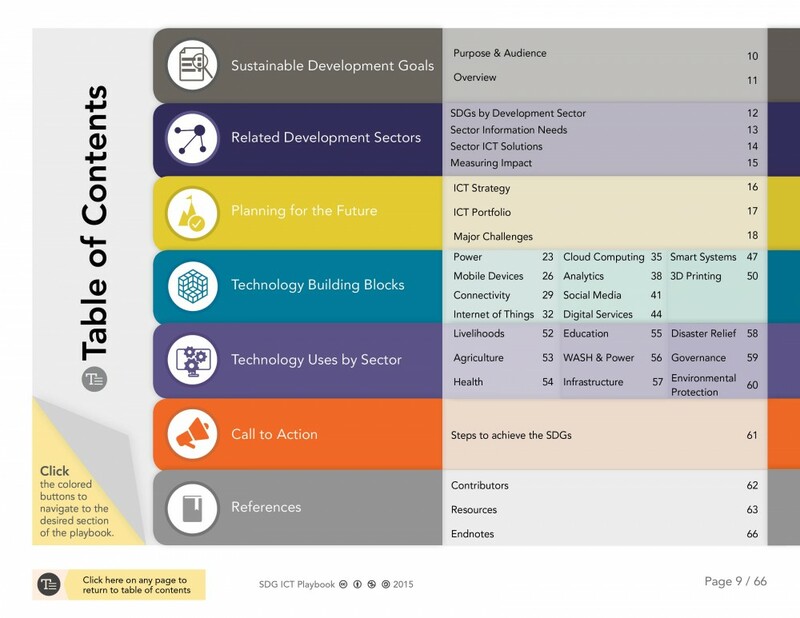 In our work toward the SDGs, all actors should support policies, within organizations and on a national and international level, that make technology more accessible to the public. We must create cross-sector partnerships to build the infrastructure that makes ICT possible and use those partnerships to enhance the efficacy of ICT solutions. From businesses, to governments, to organizations focused on agriculture, health, education, WASH & power, disaster relief, and environmental protection, we all stand to gain from it wouthe increased use and availability of ICT. 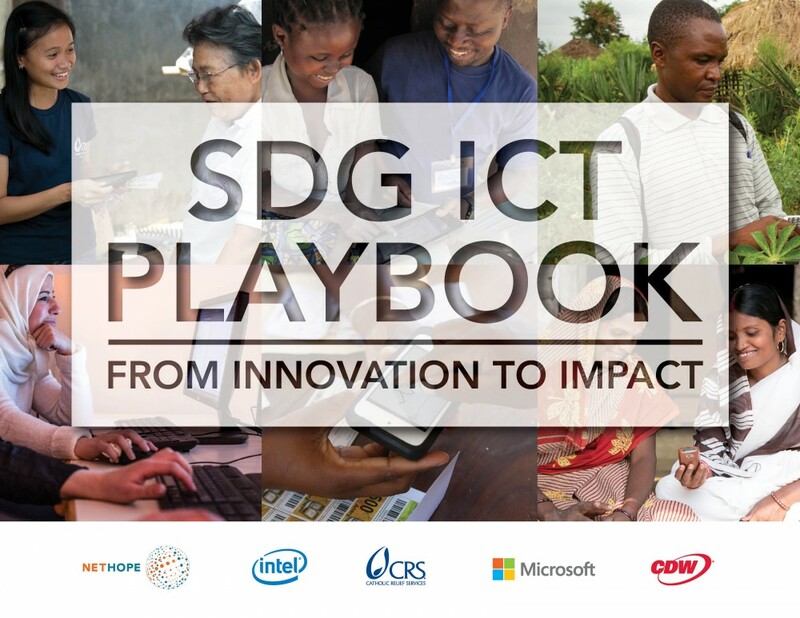 Acknowledging that organizations within the ICT field are situated to lead the charge on technology’s accessibility, the SDG ICT Playbook was spearheaded by a partnership between NetHope, Catholic Relief Services, Intel, Microsoft, CDW, and TechChange. While we all occupy a diverse array of organizations, we believe that our institutional differences are what give us, as a group, the holistic view that technology needs to be made accessible from a variety of perspectives, in order for it to be accessed by a variety of potential users. Check out NetHope’s press release and blog post about the playbook.